This week our Bargain Wine comes from Tuscany in Italy. 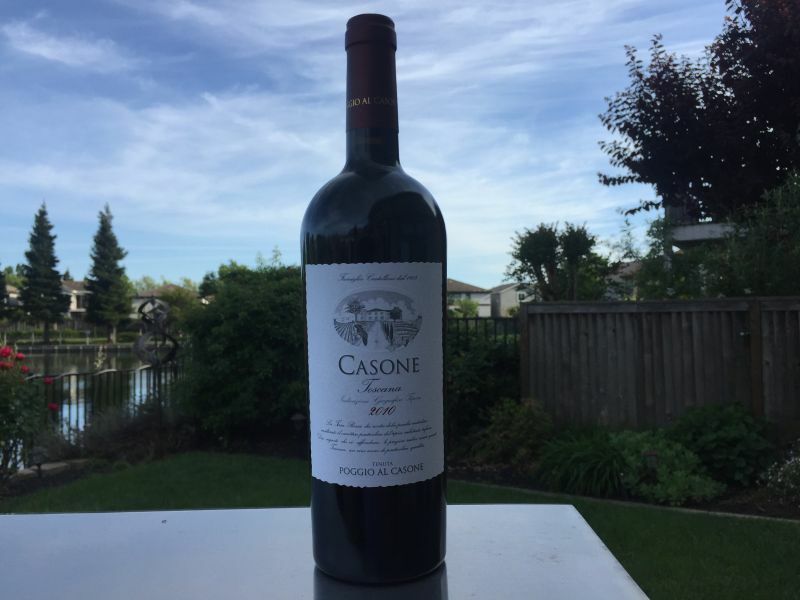 It was the 2010 Casone, made by Castellini Wines. It was purchased from Trader Joe’s in Napa for $9.99. The wine is a blend of 80% Sangiovese and 20% Syrah. It was aged for twelve months in French oak barrels. California Girl and I share a love for Italian wines; Tuscan ones, in particular, I am always hoping to find a hidden gem. The nose was restrained but offered a mix of fruit, spice, and minerality; cherry and flint. Taking a sip I was struck by an assertive acidity, backed up by plum and the taste of copper. The finish revealed a sweetness reminiscent of raspberry. The wine was enjoyable and drinkable, which, after a couple of recent bargain reds that I could not finish, is a refreshing change. The aforementioned acidity made this a wine that worked better with food than alone. I drank it with a Lasagne from the Napa Deli, which helped soften the acidity and enhance the fruit flavours. 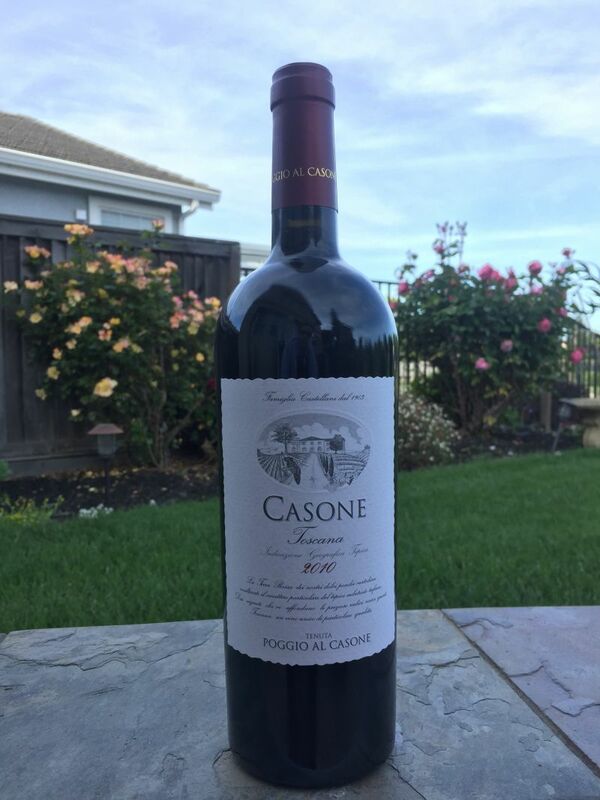 A Super Tuscan style wine for less than ten bucks is not something to pass up lightly. I would buy this wine again, but keep it for pairing with Italian wine and not for sipping on its own.